Drain tuna from the oil. Finely cut chives or spring onion. Add all ingredients in a bowl and mix with a spoon. Place the bowl in the refrigerator. 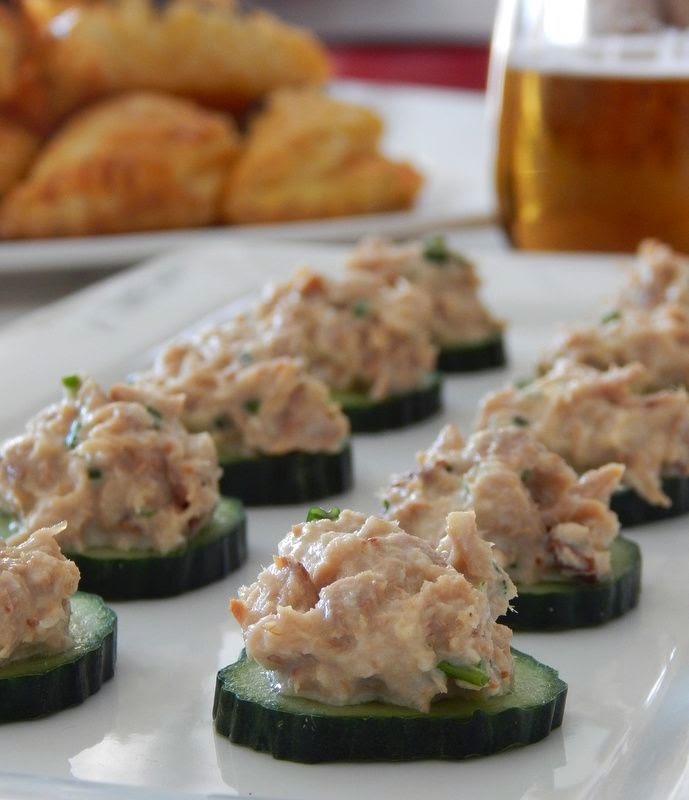 When you are ready to serve it, cut cucumber in slices and add 1or 2 tsp tuna mixture in each slice. Αναρτήθηκε από peps στις 7:34 π.μ. and still remains one of my favorites. Perfect bites Peps! Nice to see you here!! really delicious bites Peps ! Follow peps's board GREEK RECIPES on Pinterest.